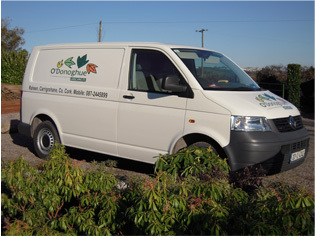 O' Donoghue Landscaping (ODL) is a family business established in 1989 by Brendan O'Donoghue. The spirit and policy of this business has always been motivated to give the very best of personal service, design and experience to each garden project. With over 21 years in business, ODL has built up a respected culture of commitment, creativity and professionalism, specialising in creating gardens that you desire. We pride ourselves in individualising and weaving the thoughts of our customers into the final design.